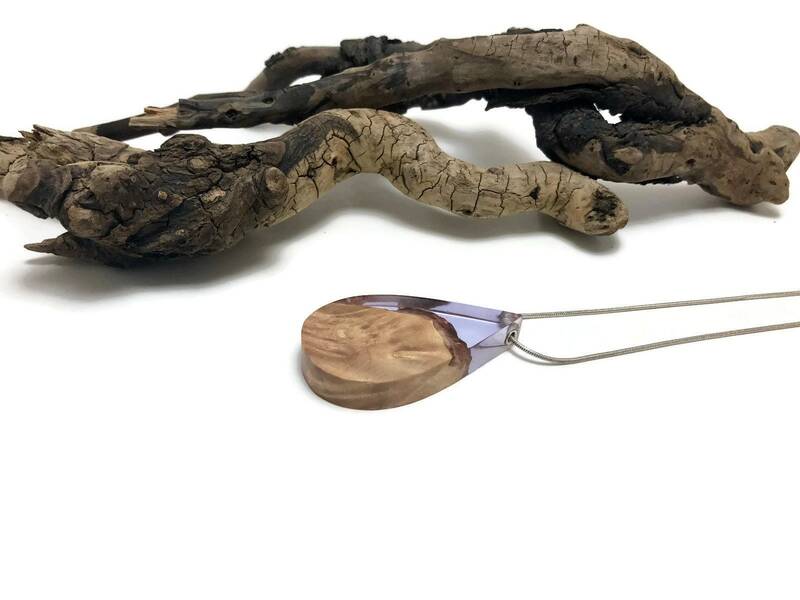 Tide and Timber have combined a pale purple dyed resin and reclaimed wood to create a one-of-a-kind statement pendant. Carry a little bit of nature with you wherever you go. We have combined clear resin with an opal like substance to create a beautiful shimmering piece. 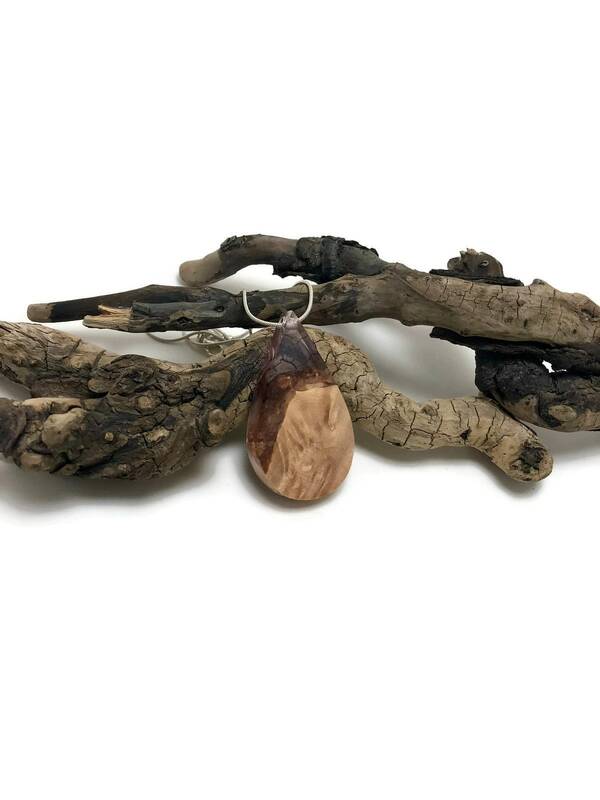 This pendant makes a wonderful gift for her or him. 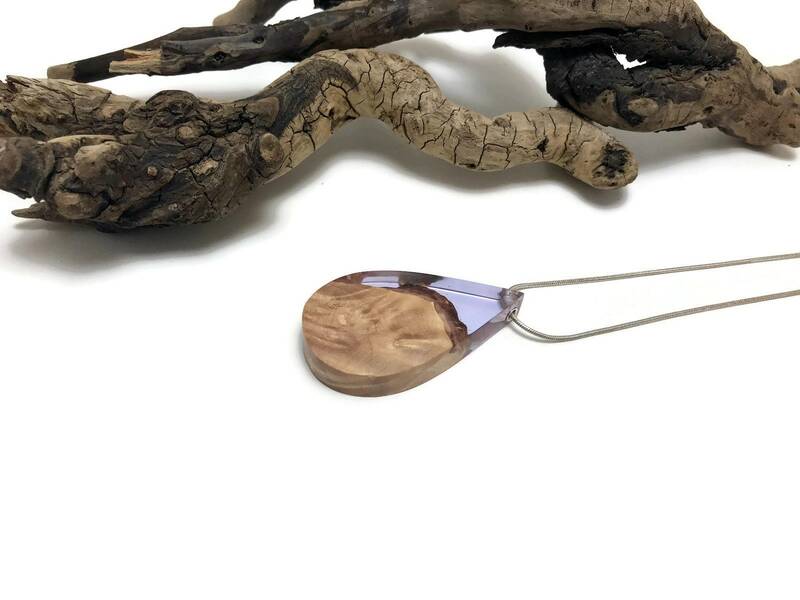 It is also versatile, as it is TWO pendants in one, with each side being unique to the other. 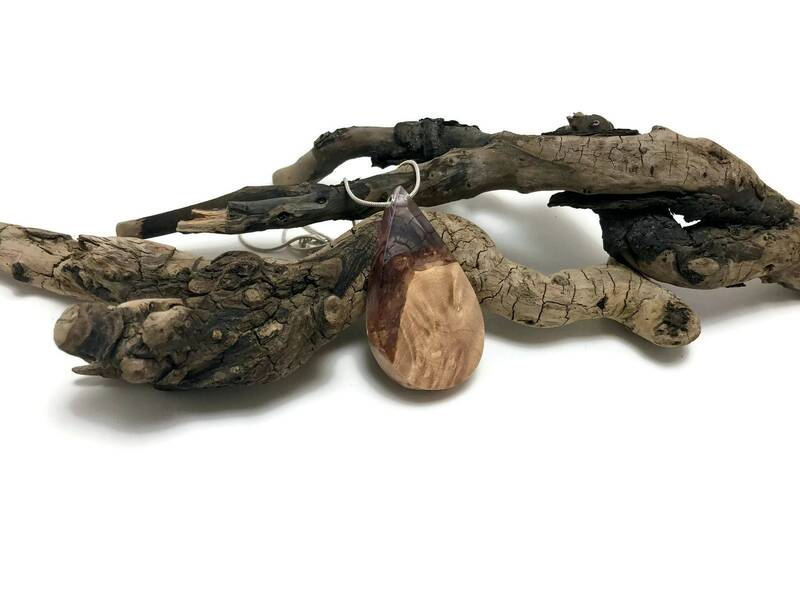 All our pendants are made from ethically sourced wood and reclaimed wood. Each piece is individually handmade by me. Our process starts with selecting only the highest quality species of wood available in our geographic location. Pieces are cut to size for the appropriate shape. It is then dried and stabilized, then combined with various dyed resins. After the resin has fully cured, the pieces are shaped, sanded and then polished to a high gloss finish. Finally, a hole is drilled through the pendant and is adorned with 2 silver grommets. All of these steps are done by hand. 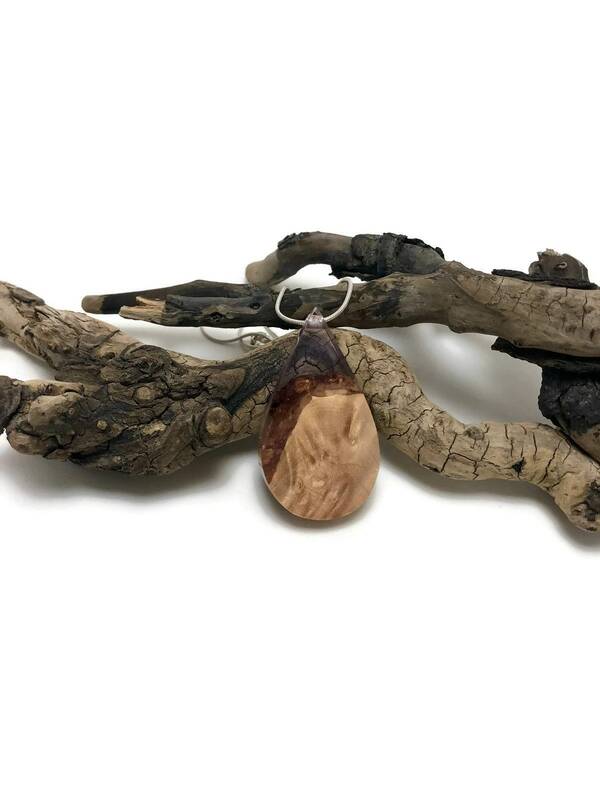 All of our pendants include a silver chain with purchase, in your choice of 16, 18, 20, 22 or 24 inch. Please specify length at check out. If no selection is made, it will be sent with an 18 inch chain.